Tensile Membrane Structure In Chennai We are one of the most prominent manufacturers of Parking Tensile Membrane Structures. We have experienced professionals experts who manufacture these high-quality products by utilizing optimum quality raw material, sourced from the most reliable vendors of the industry. Products we offer are highly durable and are examined by the experienced team of experts before the final delivery at the patrons' end. 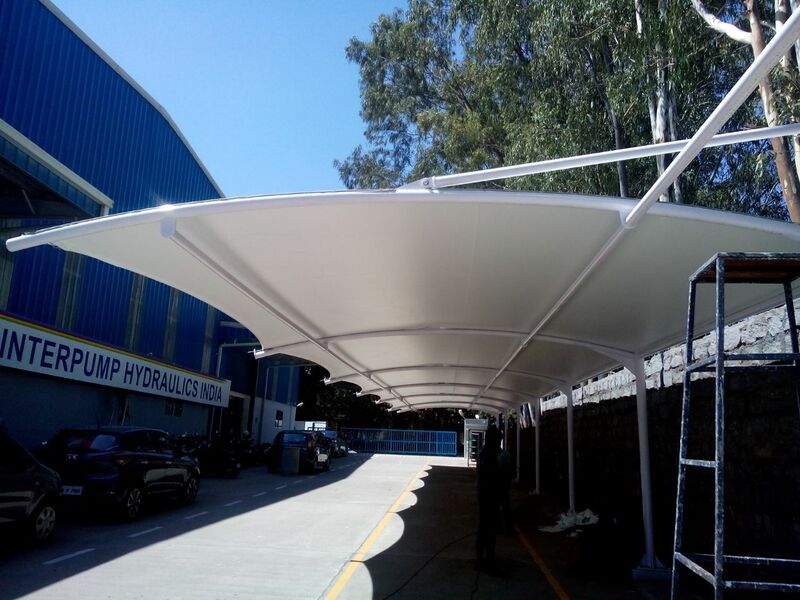 HYPER MODEL FABRIC STRUCTURES IN CHENNAI We hold expertise in manufacturing and supplying of the Tensile Structures that are used as roofs.They are most economic and attractive way of roofing with an elegant design. This product is the result of the dedication, endless efforts and innovative thinking of our expert team. Our customer can avail this range from us in various sizes, materials, patterns, lengths and colors. Roofing Contractors In Chennai We have expertise in this area to provide Residential Roofing & Industrial Contractor service. This service is provided by a team of experts and available as per the specifications and requirements of our clients. Our service customized as per specifications. This service is widely demanded in residential areas. tensile membrane car parking in chennai We provide an exclusive assortment of optimum quality range of Tensile Car Parking Sheds that are available in several sizes, thicknesses and lengths at reasonable prices. To manufacture this range as per the international standards, we have employed well-qualified and experienced professionals. In addition to this, we offer customizable range of these sheds as per the demands of customers. We ensure that the products are delivered within the stipulated time-frame.